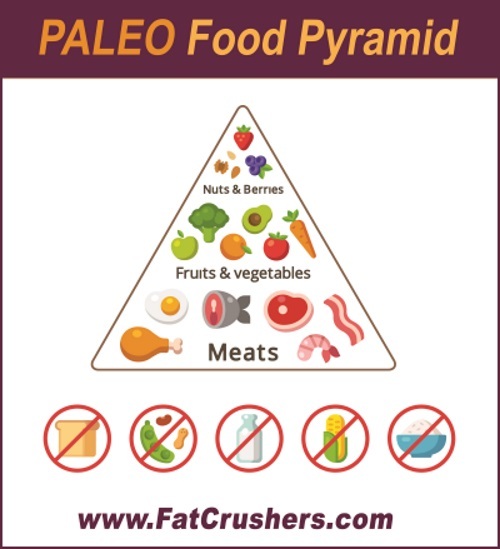 The Paleo diet (also referred to as the Caveman or Stone Age diet) idea came to exist in the 1970’s with a view to replicating the diet that Paleolithic Man ate during their period of existence. Although it wasn’t hugely popular to start with, it has recently found a new appreciation. The underlying idea is to revert to eating a more natural diet that the hunter-gathers of that period ate; namely, nuts, berries, meat, fish and leafy vegetables. The more starchy vegetables, dairy and carbohydrate-ridden foodstuffs are foregone in favor of a high protein/low carb diet. There are several reasons why the paleo diet can help with weight loss. Eating less carbs and increasing your protein level can help with bloating and also increase energy levels. Higher protein intake is an excellent way to reduce hunger, which is often not found in diets high in carbohydrates. On this diet, protein mainly comes from meat and fish; however, nuts are also allowed, which make great healthy and filling snacks. The paleo diet allows only for whole real food and nothing processed and processed foods especially have been proven to improve weight loss and overall health. Many experts concur that the biggest culprit in the obesity epidemic is processed junk food. Many of us have stopped eating real food as we reach for the box, the can and shop the inside aisles of the market avoiding the most important section – produce! Yes, that is where the fruits and vegetables are kept; you know the fresh, real ones? Chicken nuggets are somehow considered chicken and hot dogs are passing for the meat group. On Paleo, the stars of the diet are REAL fresh vegetables and REAL all natural meat, chicken and fish, all of which provide the body the nutrients it needs and supports weight loss. Refined sugar and any foods made from it are disallowed on the Paleo diet, and this is great news, as sugar is a huge culprit in today’s unhealthy lifestyles that has caused excessive weight gain and type 2 diabetes. Sugary foods are high on the glycemic index that can significantly impair weight loss. There is credible evidence that per calorie, the paleo diet sates your appetite more than other diets and stops you feeling hungry so often. This is potentially linked to the fact that there is a high reliance on protein that provides long lasting satiety, and the elimination of unhealthy carbs that lessens out of control cravings, and hunger. Did you know that the more sugar and carbs you eat the more hungry you will be? This is because simple sugars are processed too quickly in the body, and do not really satisfy at all, but instead take you on a merry go round of endless cravings for more and more sugar. Having a natural diet filled with whole food, such as the Paleo enables your body to utilize the goodness in your diet. Eating the right foodstuffs allows your body to regulate itself and perform the basic functions it needs to survive. A healthy diet helps maintain a healthy digestive system and regulate your metabolic rate; this is critical for successful weight loss. Diets based on willpower alone will almost always fail – how often do people struggle with motivation? 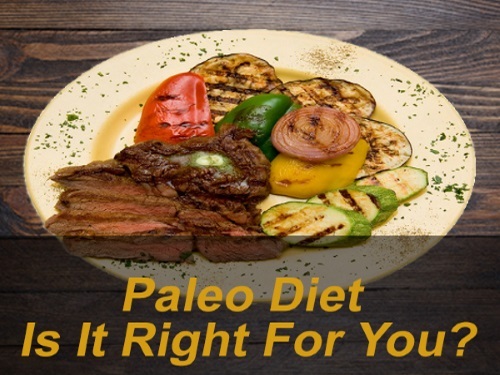 The paleo diet seeks to fix the fundamental problems in your diet based on solid nutritional principles rather than starve your body into submission. The paleo diet seeks to create a happier, healthier way of life, and this is the key to successful weight loss. By denying your body of the essential nutrition it needs, you will experience a plethora of health problems. The paleo diet can therefore help with weight loss as it focuses on healthy, whole, non-sugary foods that are the cornerstone of healthy weight loss.